Our beautiful founding heroine, Lady Wulfruna. Lady Wulfruna sits atop the steps leading up to St Peter’s Church in Wolverhampton. 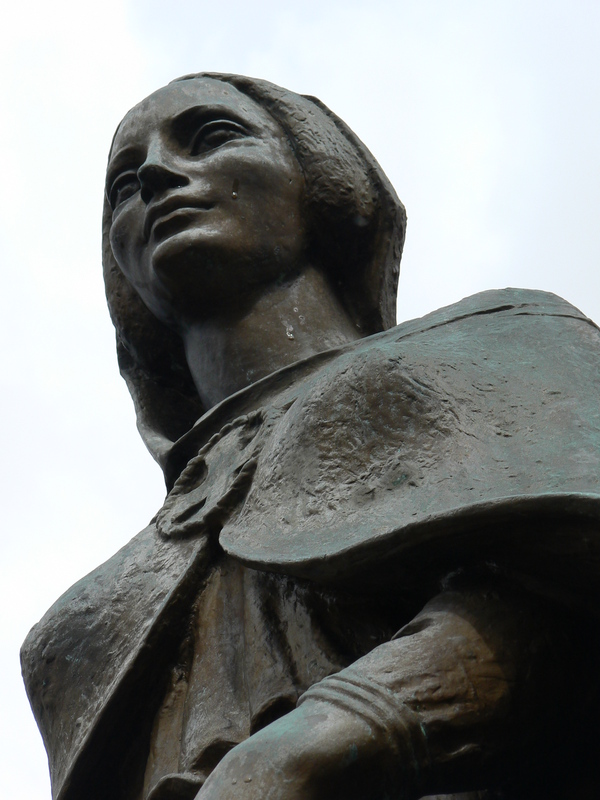 She’s a proud, beautiful, strong and wonderful Wulfrunian woman and appears to cast an approving glance down on all those of us that frequently cross The Piazza at the bottom of the steps. Only yesterday, did I notice the writing engraved in the steps where she stands – I won’t quote this here but it’s well worth checking out when you’re next out and about in Wolverhampton. 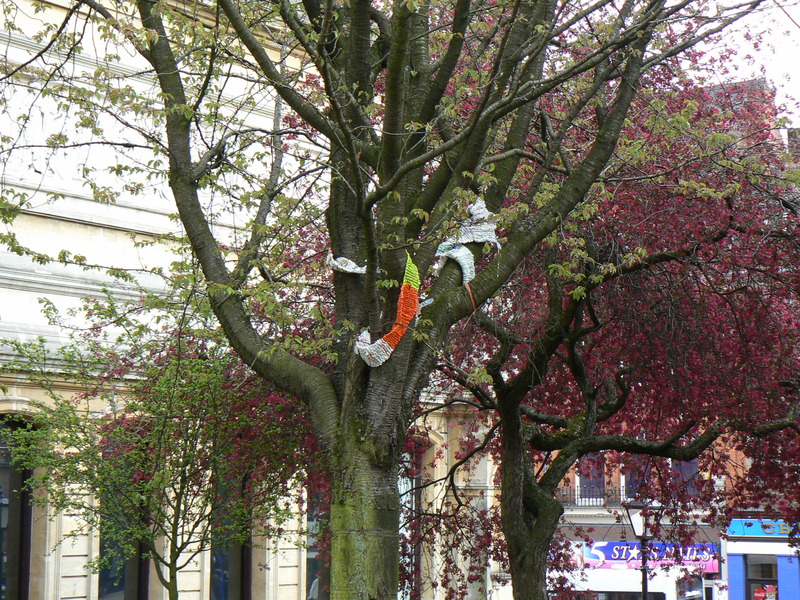 Lady Wulfruna is now presiding over a wonderful outdoor exhibition of Yarn Bombing (or Graffiti Knitting/Guerrilla Knitting) in an event organised by our colleagues at Wolverhampton Art Gallery. 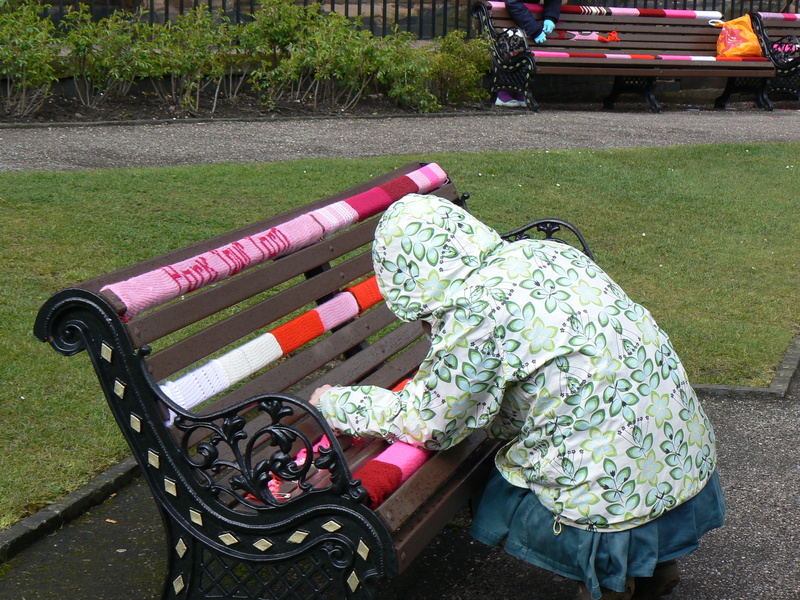 In the ‘Park your Yarn‘ installation, talented knitters and crocheters from ArtYarn – who crocheted the doily spheres adjacent to Lady Wulfruna; and Stitches & Hos who knitted the sleeves for park benches – joined forces with members of the community who also made contributions to the installation. The installation runs until 4 June 2012 – so if you get chance to get along and visit it, please do – you’ll receive a warm welcome. 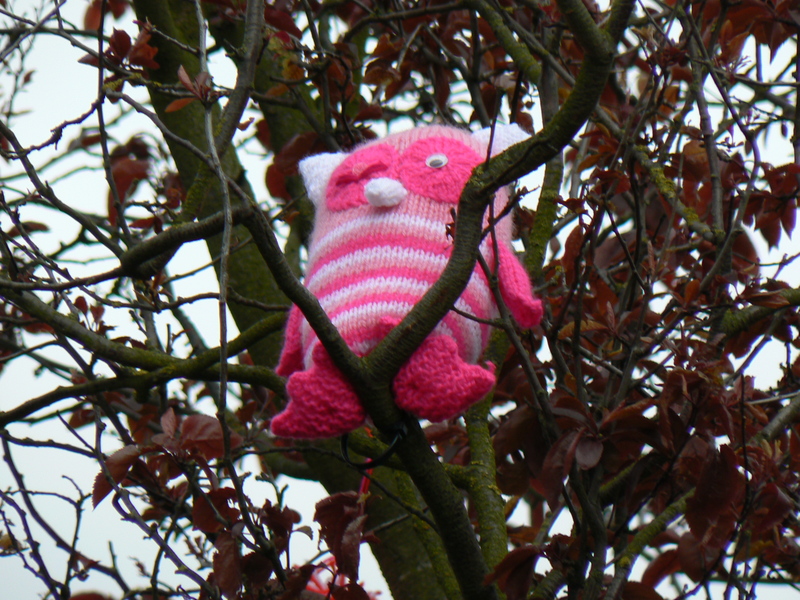 This entry was posted in photography, wolverhampton and tagged crochet, graffiti, guerrilla, knit, knitting, st peter's, st peter's gardens, wolverhampton, yarn bomb, yarnbomb. Bookmark the permalink.